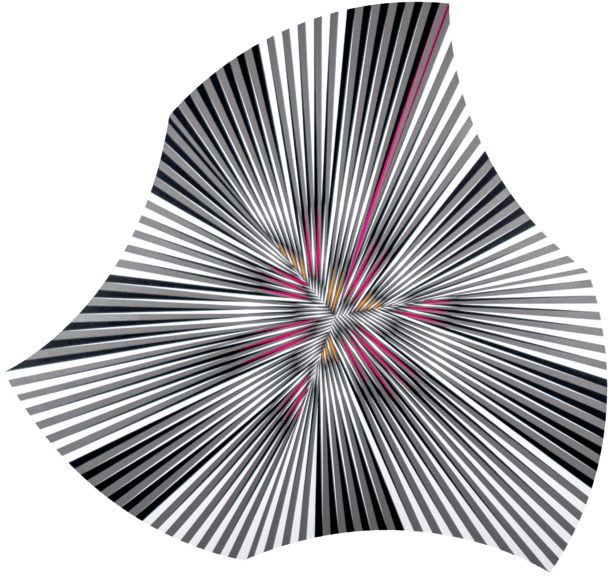 Op art is back! 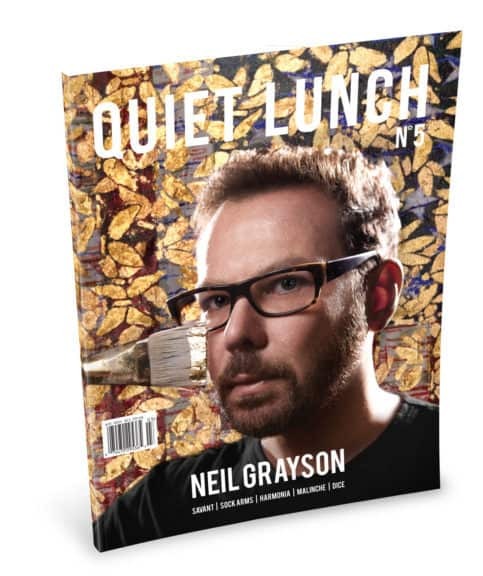 Interferences: Contemporary Op and Kinetic Art at GR gallery | | Quiet Lunch. 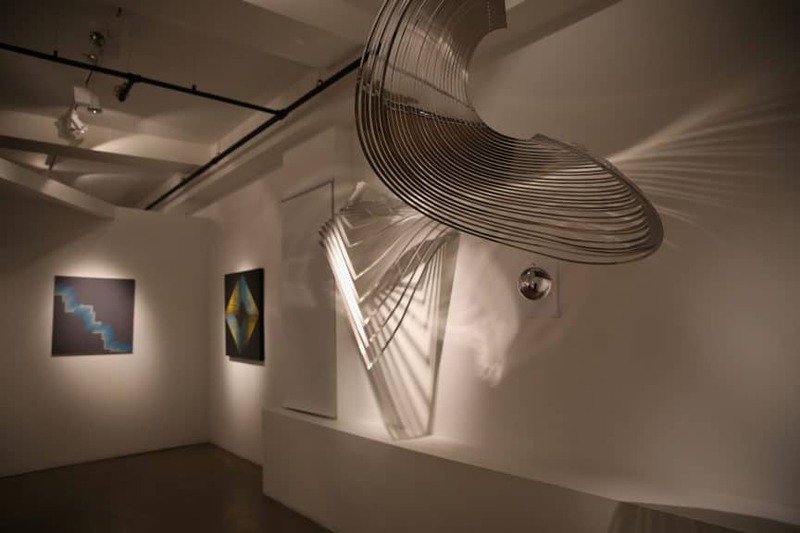 Last week, GR gallery unveiled its fourth exhibition dedicated entirely to Op and Kinetic art. The exhibition, Interferences: Contemporary Op and Kinetic Art, pulsates as its artworks electrify the gallery’s atmosphere. The show’s opening night brought together an eclectic array of artists, curators, and art lovers, including the likes of rock photographer Bob Gruen, his wife, artist Elizabeth Gregory Gruen, and internationally renowned creators such as Ron Agam and Harif Guzman, among others. 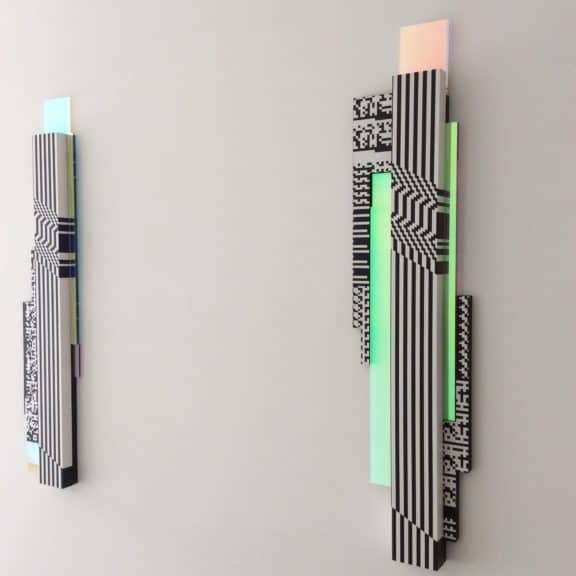 Interferences, on view at GR gallery until April 16, 2017, features recent works by four innovative artists from Europe and America: Felipe Pantone, Gilbert Hsiao, Nadia Costantini, and Sandi Renko. An Op art immersion, the exhibition sets the output of these four artists in conversation with one another, sparking a dialogue between their distinct masteries of line and explorations of pure color and form. Across intensely vibrant canvases, the exhibition breathes life through the simplest geometric shapes, its focal points grounded in the line interferences of Nadia Costantini’s Modulazioni di Superficie, the geometrical shapes of Sandi Renko’s Stripe316, the reversible perspective of Gilbert Hsiao’s Gyro, and the chromatic vibrations of Felipe Pantone’s Optichromie 85. 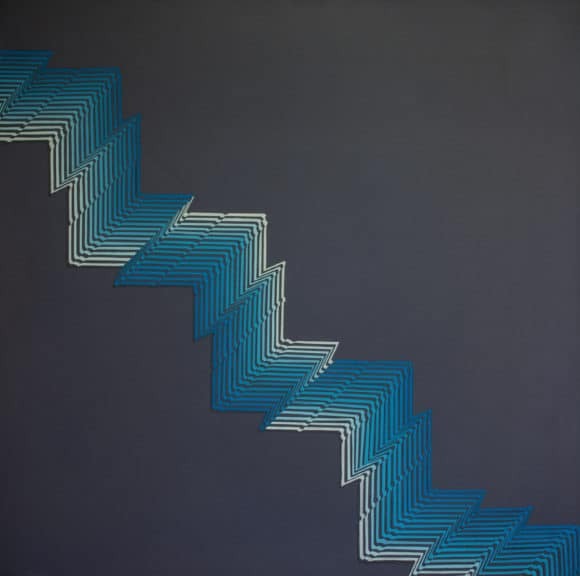 Nadia Costantini “Modulazione di Superficie”, 1981, acrylic on canvas, 31,5 x 31,5 in. Gilbert Hsiao,”Gyro”, 2014, acrylic on board 58 x 58 in. The 25 works on view derive their power from the ways in which their makers dynamically alter the width, color, and direction of their stripes and shapes, often with infinitesimal slightness, to create arrangements that pulsate with a serene rhythm—something especially felt through the oscillations of Hsiao’s paintings and frantic energy of Pantone’s work. 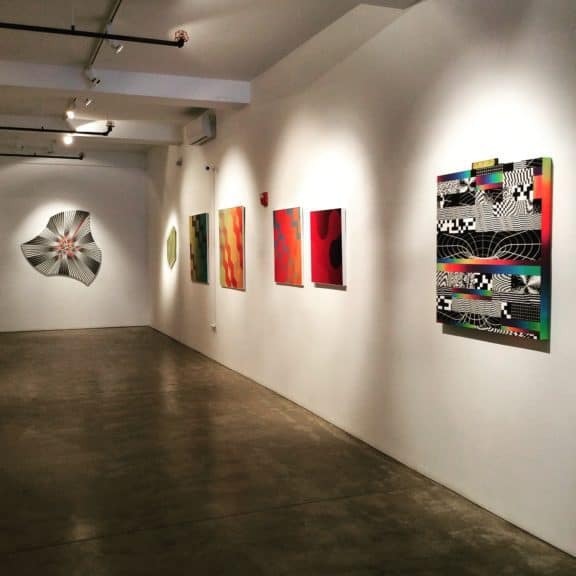 Remaining true to its founding mission, GR gallery continues to push the envelope within the panorama of New York’s contemporary art galleries by bravely presenting artists whose works investigate and advance the discourse around pattern, optical, and perceptual abstract painting. 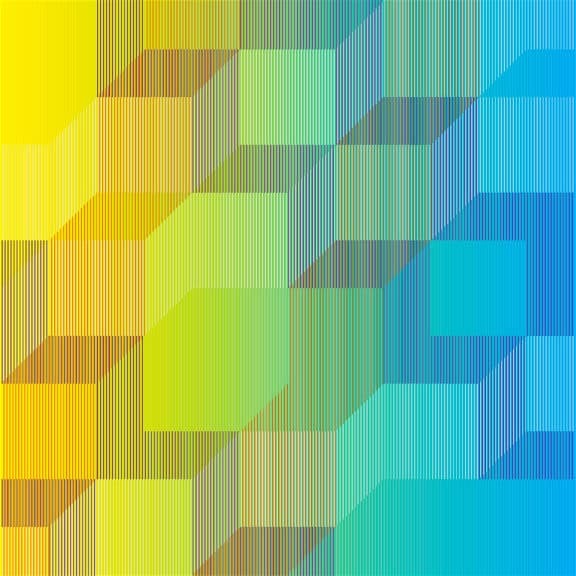 Felipe Pantone, “Chromadynamica 16”, 2017, enamel on wood panel, 36 x 36 in. 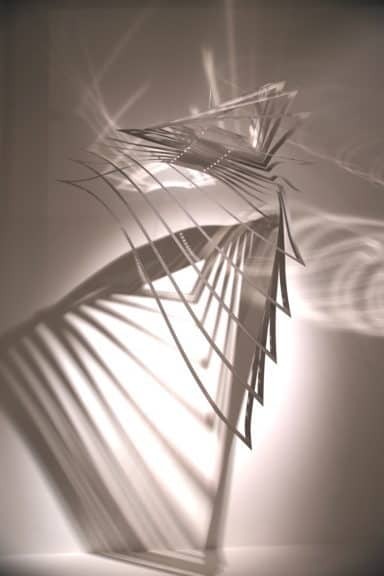 Nadia Costantini, “Fluttuante”, 2009, laser cut stainless steel, 39.3 X 39.3 in. 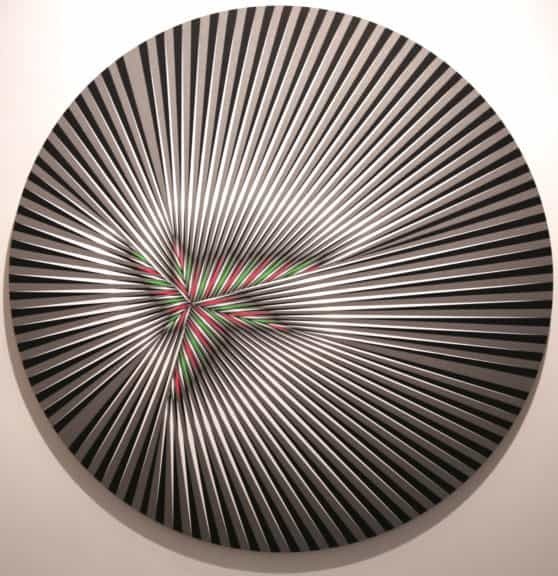 As an art movement in the United States, Op art was borne through Kinetic art, and rose quickly in the early 1960s. After peaking at The Responsive Eye exhibition at the MoMA in 1965, it seemed to subsequently fade within three years. 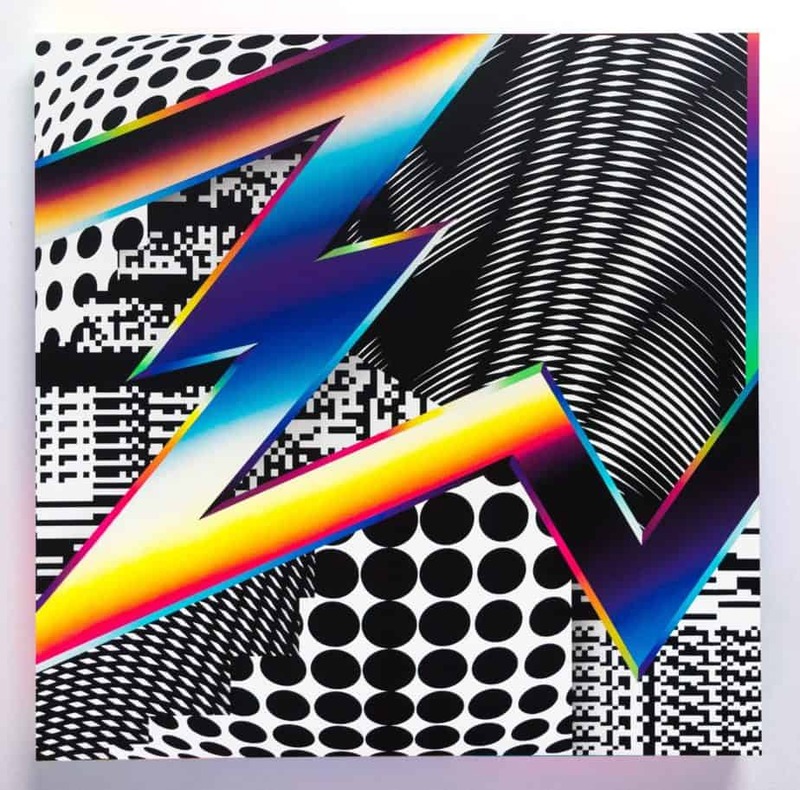 Despite this, Op art has maintained a lengthy afterlife, yielding an outsized influence on visual art, architecture, and design. GR gallery, entrusting that this movement would undoubtedly see a revival, has promoted and supported artists of these two often-overlooked movements since its inception in Italy, and thereafter in New York. Without fail, the last few years have seen a deluge of Op and Kinetic art featured in museum and gallery exhibitions around the world. 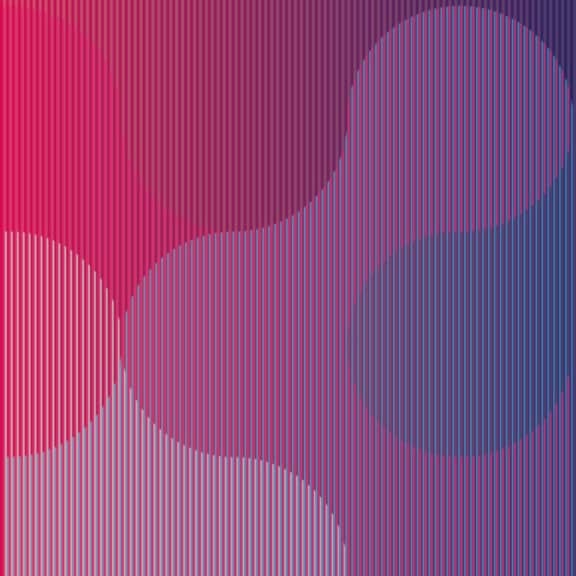 From industrial and graphic design to fashion, architecture, décor, and a myriad of other places, Op art is back! 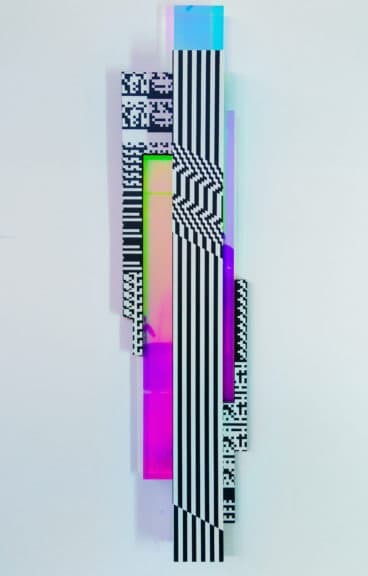 However, Interferences at GR gallery is by far the finest comprehensive survey of contemporary Op and Kinetic art in New York City—an optical feast not to be missed. 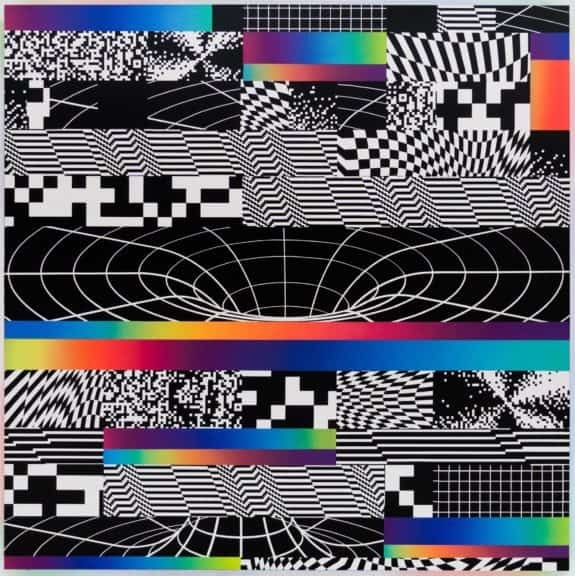 Felipe Pantone (Argentina)’s work is at the cutting edge of street art. Straddling conventional graffiti, typography and abstraction, his work fuses bold elements of graphic design with highly evolved geometric shapes. Gilbert Hsiao (U.S.) has been exploring the mechanics of visual perception since the 1980s. The viewer perceives oscillation through the illusion of a continuous wave produced by the physiological experience of space and movement. Meticulously layered stripes in tightly woven structures create a musical rhythm and repose. Sandi Renko (1949, Italy) is known for his contributions to industrial design, optical and kinetic art (Arte Programmata). By using undulated cardboard surfaces painted with acrylic colors, Renko creates tridimensional geometric structures that can be read from several angles, giving the impression of movement. Nadia Costantini (1944, Italy) Nadia Costantini’s works as a painter and a sculptor is focused on the dialogue between negative & positive space to create the illusion of movement & depth. In her paintings, colorful geometric & modulated striped structures emerge from backgrounds of pure black thus emphasizing the painter’s choice of vivid, vibrant colors. 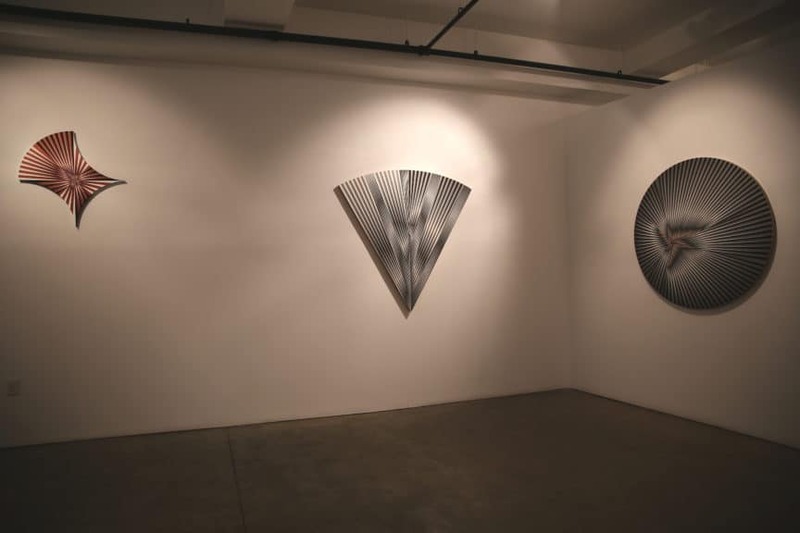 GR gallery: Founded in the mid-seventies by Italian art critic Giovanni Granzotto in Sacile, Italy, Studio d’Arte GR has been specializing in Kinetic, Op and Programmed Art; its US branch, GR gallery, continues its mission in North America. 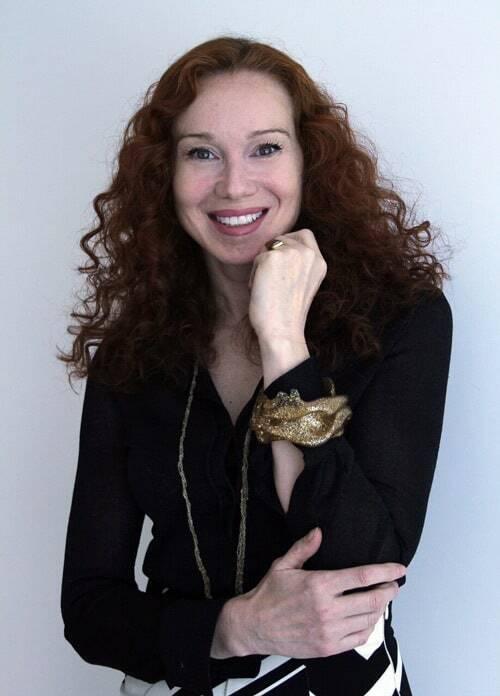 Eva Zanardi is a curator, art advisor and art writer specializing in Kinetic Art, Op Art and Minimalism. She curates a contemporary art blog, “The Responsive I“.